There is a significant gap between the size of the climate challenge and efforts to address its impacts. 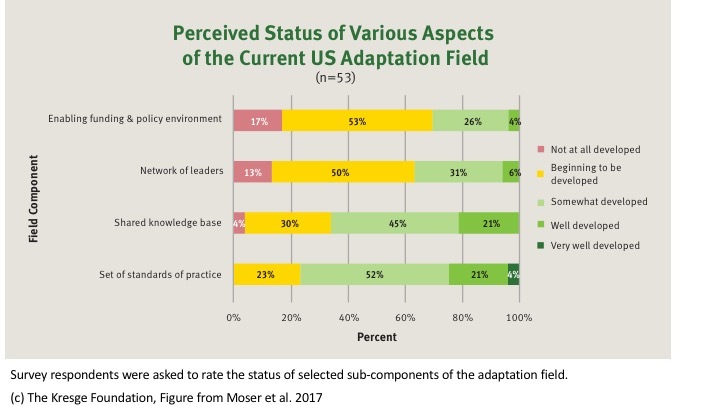 To rise to the challenge, the adaptation field must grow rapidly in size, scope, and sophistication. We look forward to creating opportunities to collaborate as we rise to the challenge of accelerating and scaling up adaptation while blazing transformative paths to an equitable, resilient future. We invite you to peruse the report, its key features and recommendations tailored to your sector. Appendices (also see "Recommended Actions"